Dr. Burbridge grew-up in the Midwest and received his B.S. in microbiology from the University of Nebraska at Lincoln in1976. He received his Doctor of Dental Surgery (DDS) from the University of Nebraska Medical Center in 1980. 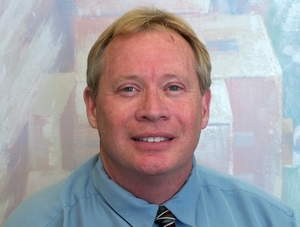 Dr. Burbridge moved to Sacramento in 1986 and has practiced at his present location for 20 years. In that time he has been constantly been adding to his education by attending numerous classes, lectures, and workshops. The last two classes he has taken were on advanced oral sedation techniques, and mini-dental implants. When Dr. Burbridge is not at the office he likes to spend time cheering his favorite team (The Cornhuskers), hiking, traveling, or working on his alumni scholarship project. His favorite thing to do is just spending time with his family, wife-Susan, twins-Sarah and Victoria, and dog Mozart.